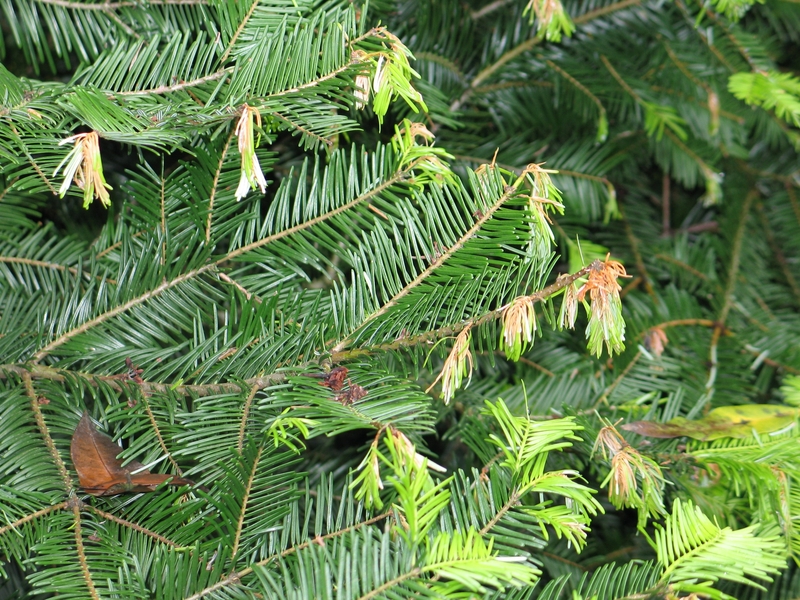 Recycling Christmas trees helps prevent the spread of pests. If you have a real Christmas tree, University of California pest management experts ask that you to recycle the tree to prevent the spread of insects and diseases that may harm our forests and landscape trees. Alexander recommends taking advantage of local tree recycling programs. Sudden oak death symptoms are shown here on Grand fir. Photo by Gary Chastagner. “The most worrisome pests that might be traveling on Christmas trees or greenery this year include P. ramorum, pine shoot beetle and gypsy moth,” Alexander said. The movement of some fresh trees is regulated. For example, Douglas fir trees are regulated because they are hosts for Phytophthora ramorum, which causes sudden oak death. The disease has killed millions of tanoak trees and several oak tree species in forests throughout California since the mid-1990s. 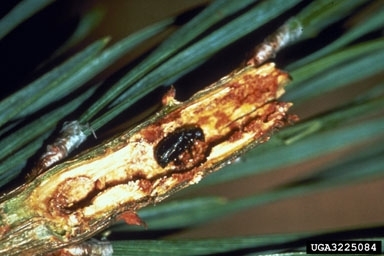 Pine shoot beetles can stunt and even kill pine trees. Pine shoot beetle and gypsy moth are not currently in California, but they could damage the state's Christmas tree plantations and forests if they were to become established. Pine shoot beetles, Tomicus piniperda, feed on shoots, stunting the growth of pine trees. Large populations of the insects can kill apparently healthy trees. Gypsy moth, Lymantria dispar, attacks forests and landscape trees, including manzanita, western hemlock, Douglas fir and live oak. Gypsy moth caterpillars feed on hundreds of plant species and are capable of defoliating trees at an alarming rate. A single gypsy moth caterpillar can eat up to one square foot of leaves per day, according to the California Department of Food and Agriculture. 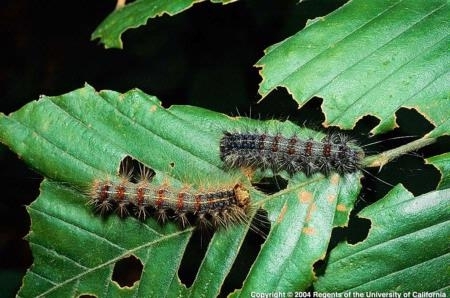 A single gypsy moth caterpillar can eat up to one square foot of leaves per day. Photo by Roger Zerillo. For more information about sudden oak death and forest health, visit Alexander's website at http://cemarin.ucanr.edu/Programs/Custom_Program816. 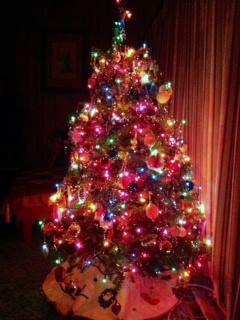 More information about holiday greenery pests can be found at the USDA APHIS website and the Don't Move Firewood website http://www.dontmovefirewood.org/HolidayGreenery.